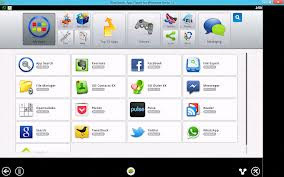 If you intend to use WhatsApp on Windows or want to use a PC to send WhatsApp messages, Bluestacks for Windows is the best application. I registered WhatsApp in a jiffy. Here is how. I downloaded Bluestacks here and set it up. Then in the main screen there was 25 best Apps, out of which I selected Whatsapp. The Bluestacks downloaded WhatsApp from Google Play. Then I set up WhatsApp for which I gave my current mobile number to send SMS. After the SMS verification failed, I clicked 'call me' in the next screen. I immediately received a call from WhatsApp HQ with 6 digit code and I was done. i downloaded apk file of whatsapp, but registration process not workking,every time i enter my no. and after a little time it appears unable to connect,reboot your device.